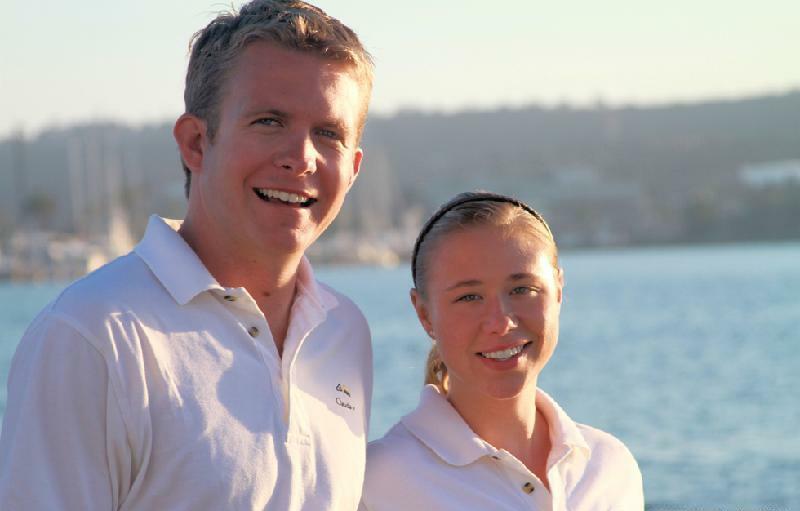 Luxury sailing yacht CLAUDIA IV is a Frers design built by Nautor Swan in 1995. 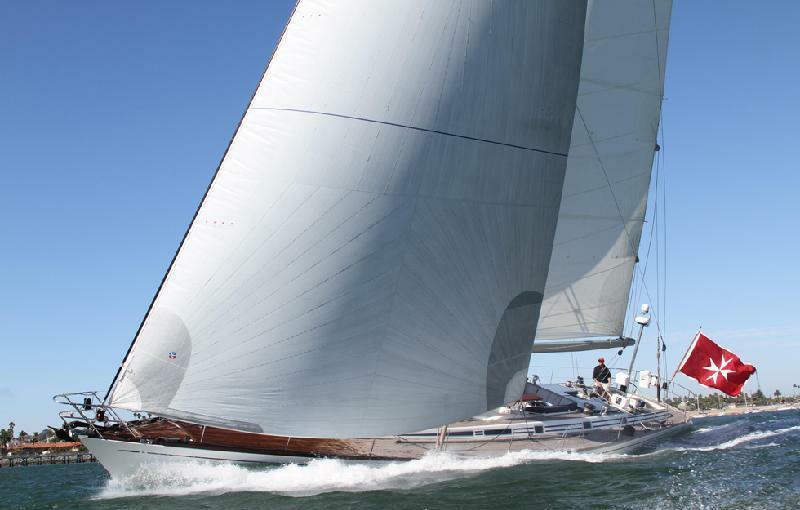 S/Y CLAUDIA IV measures 21.6m (71ft), she boasts graceful classic Swan lines and is a true marvel to watch make way. 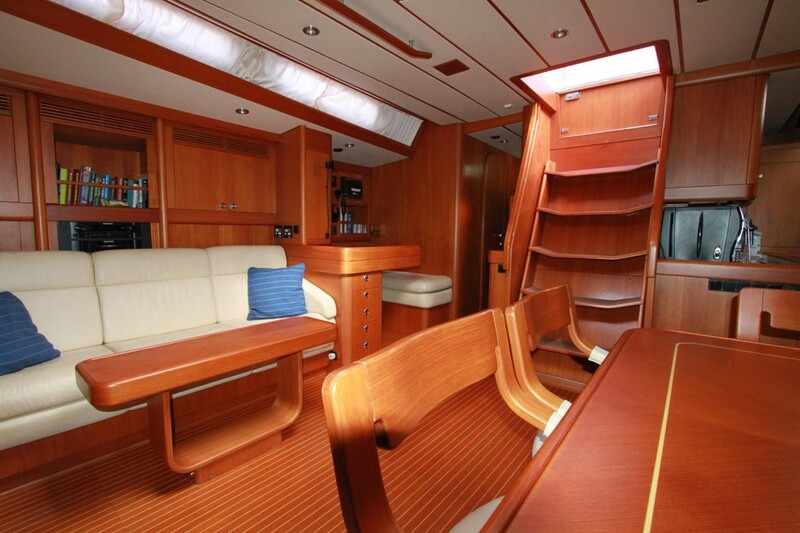 In 2012 the yacht CLAUDIA IV received an extensive refit and is available for charter in the Caribbean in the winter and the East Mediterranean in the summer. 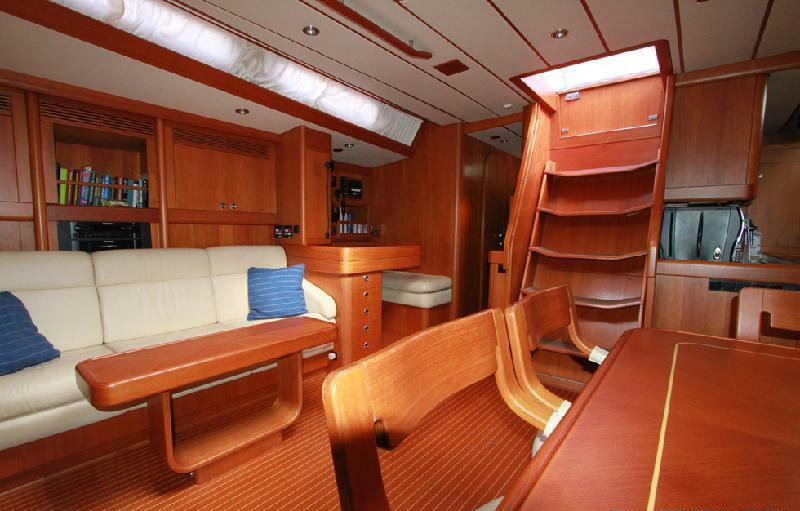 Sailing yacht CLAUDIA IV has a generous nautical themed warm interior, she can accommodate up to 6 guests in 3 en-suite cabins. 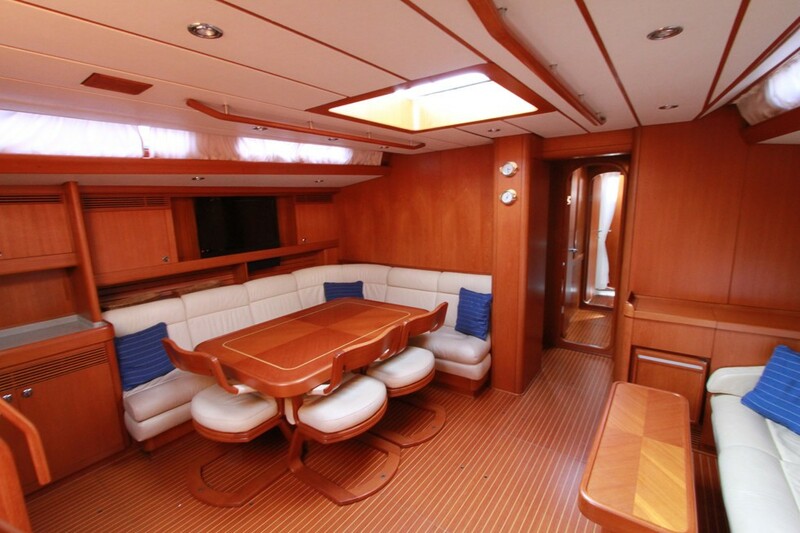 The salon aboard CLAUDIA IV offers a formal dining table to port and a lounge space to starboard. Thanks to the raised deck house, she boasts ample headroom, plenty of natural light and wonderful natural breezes. 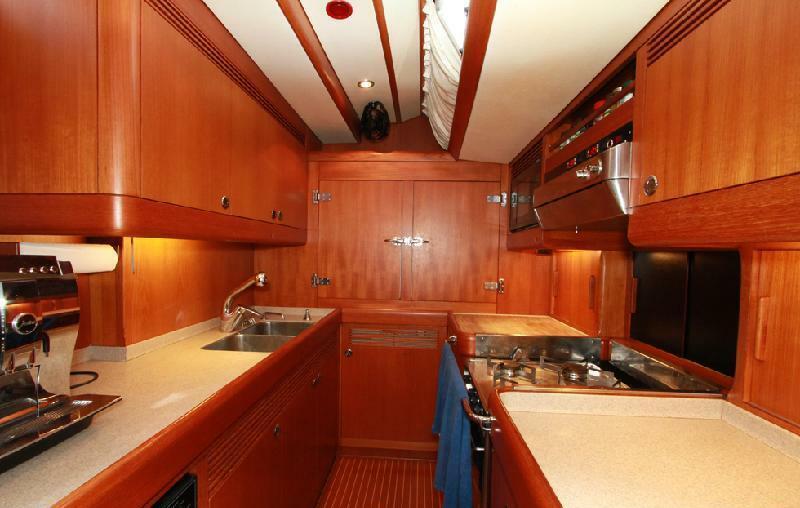 Guest accommodation aboard the Swan 71 CLAUDIA IV is fore and aft of the salon in a master cabin aft and 2 mirror image cabins forward, with an upper Pullman berth each. This layout offers flexible accommodation suitable for couples as well as families with children. 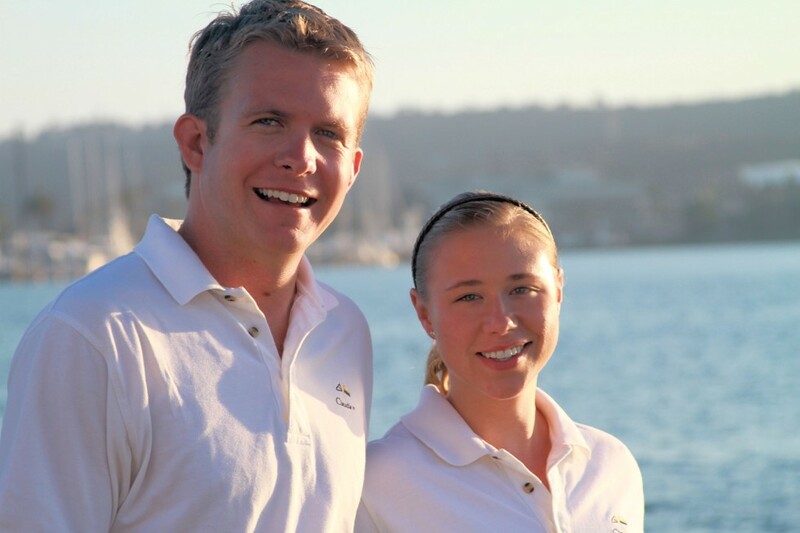 All 3 cabins boast en-suite facilities and plenty of natural light and breezes. Exterior living is ample on the fine teak decks. 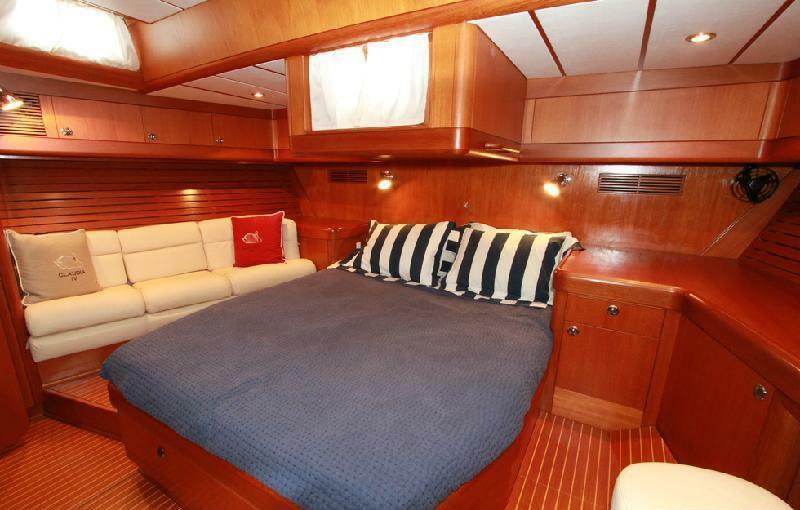 Charter yacht CLAUDIA IV features a guest cockpit forward of the helm with an alfresco dining option and removable Bimini cover. 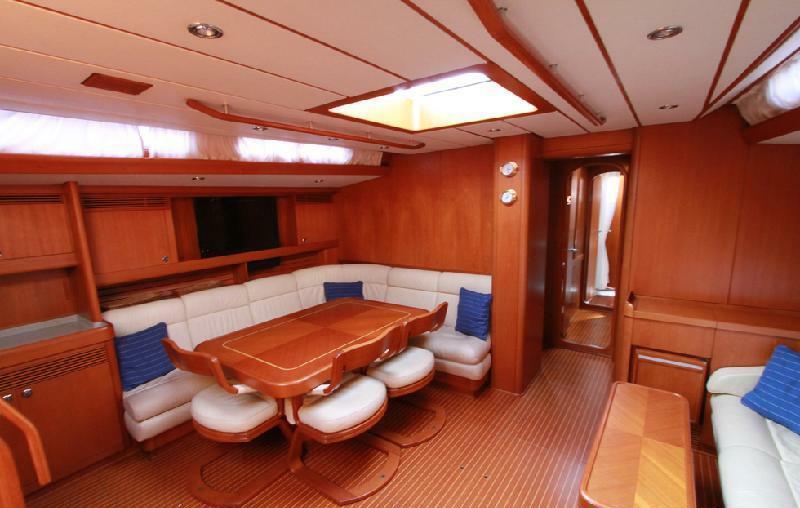 The main deck is spacious with plenty of areas to relax and sun including a large sunpad. 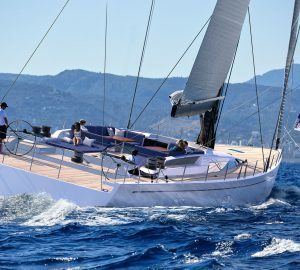 The CLAUDIA IV sailing yacht has a beam of 5.5m (18ft) and a draft of 3.6m (12ft), the yacht is managed by a professional crew of 2 to ensure the ultimate in a dream sailing holiday. 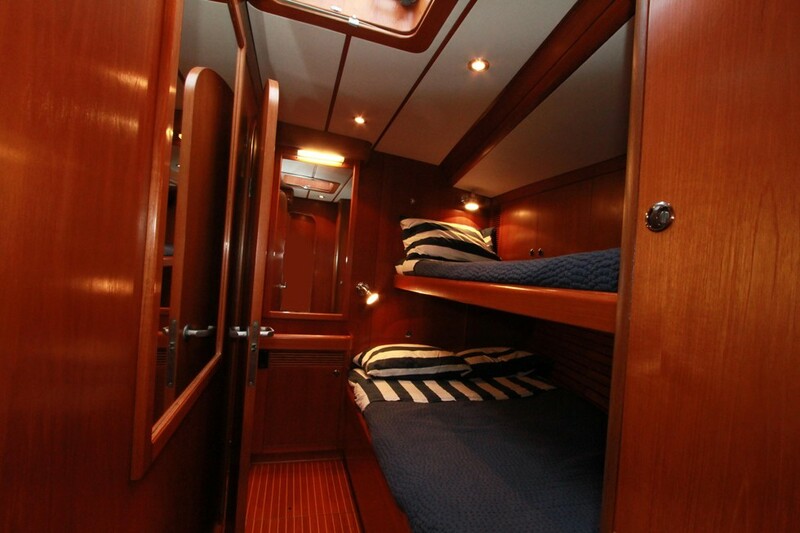 Yacht CLAUDIA IV offers 3 double cabins for up to 6 charter guests. 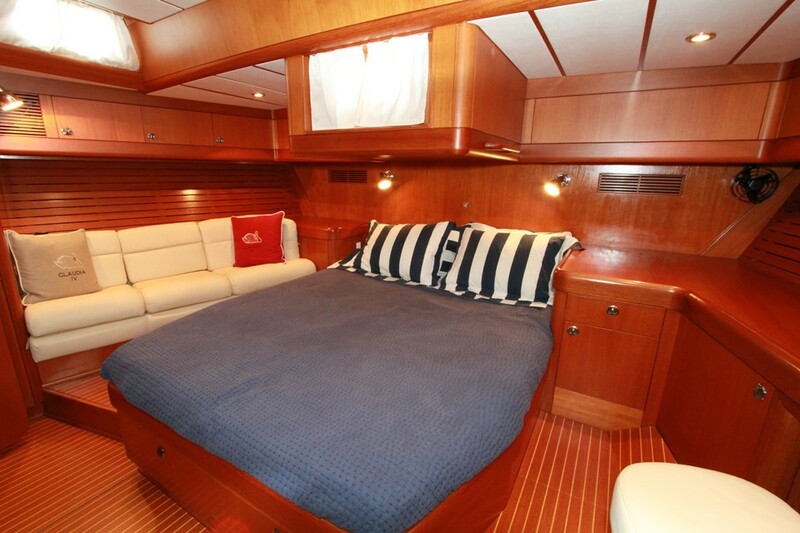 The master stateroom is aft and full beam of the yacht with a center lined double bed, sofa, vanity and en-suite with shower. 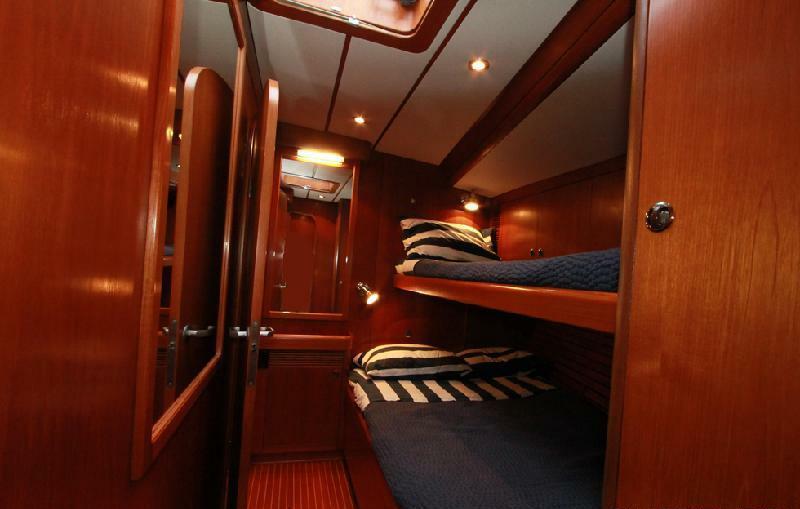 Forward of the salon on port and starboard are 2 double cabins, both cabins offer double beds, an additional upper Pullman bunk and have en-suite facilities with showers. 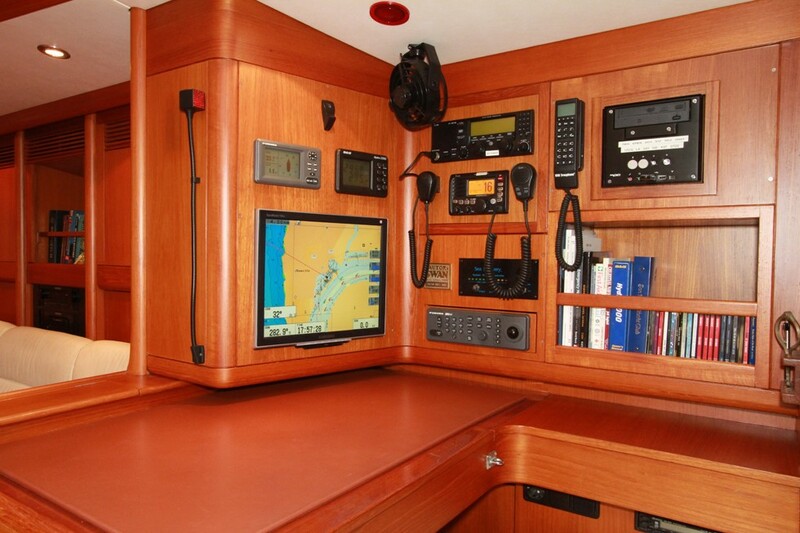 All cabins and the salon offer full air conditioning if desired. Caribbean and Mediterranean charter yacht CLAUDIA IV has a 14' Novurania w/40 hp outboard, a 2 person clear bottom inflatable kayak, Assorted sizes of snorkel equipment/fins, Water skis & slalom skis, Wakeboard, Fishing gear, Books, DVD's, CD's, Board games: Pictionary, Boggle, Scrabble, Apples to Apples, checkers, backgammon, dominoes and cards. 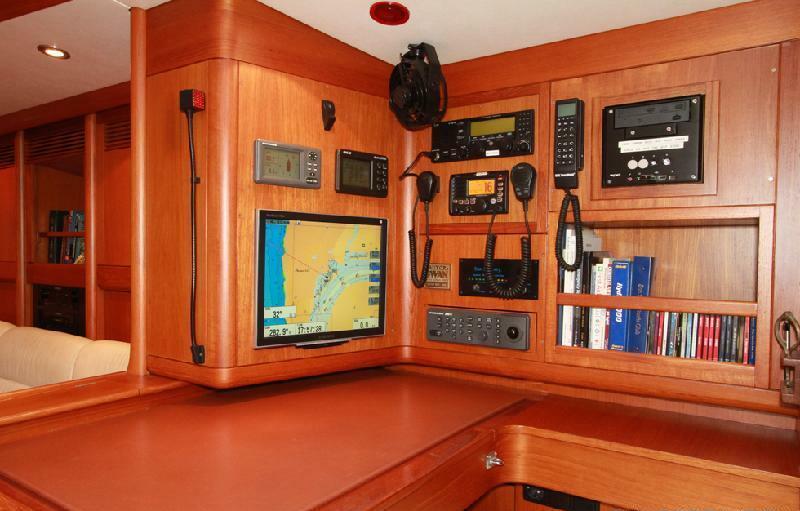 Audio Visual Equipment and Deck Facilities CD player, speakers in cabins & cockpit, DVD, I Pod docker, TV in salon. 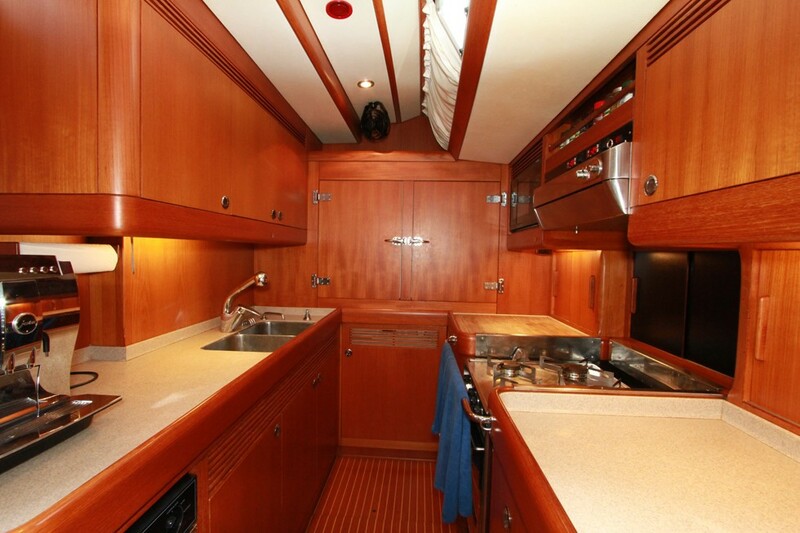 Deck shower, Swim platform, Sailing awning, Sailing bimini, BBQ, Communications include SSB, Cell phone, Sat phone.